My two favorite lipstick shades are pink and red. Late last year, I got hooked on MAC Lip Pencil in Cherry. I even posted a step-by-step tutorial on how to apply it, you can read the full entry here. Anyway, when I attended BYS' 2nd year anniversary last month, all guests were given a bag filled with makeup. 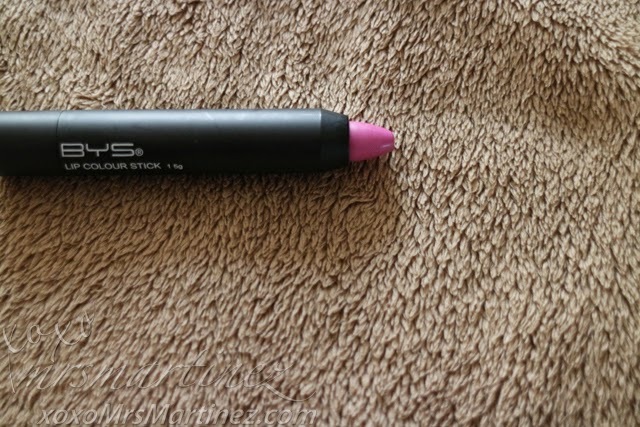 And guess what I found, a lip colour stick in Thistle Do! It's purplish pink and I love it! If you noticed, the shade of the lipstick appeared to be matte in the first photo. That is because I turned this lip color into a matte shade. How? By lightly pressing tissue paper on my lips after application. I think I did it 3 to 4 times but you can do it once or twice only. I just did it for this photo shoot. Don't get me wrong, the lipstick is not shimmery, just the right amount of gloss. I just like the effect of its shade in matte. The color appeared lighter on my lips, more like neon-ish that's why I said earlier that it will suit better for women with darker skin tone. 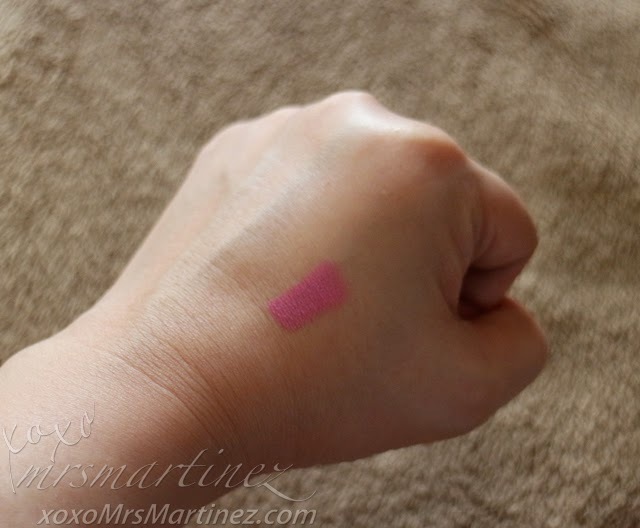 This shade reminded me of my MAC Sheen Supreme Lipstick in Behave Yourself minus the shimmer. I think Thistle Do is 2-3 shades darker. I can combine the two together to form another lip color so I think I am going to keep this lipstick for now. 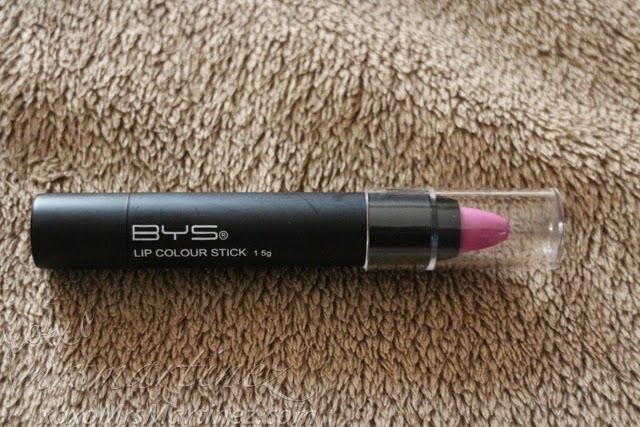 BYS Lip Colour Stick is available in 5 other shades: Pout About Pink, Carrie's Cosmopolitan, Tropical Punch, Strawberry Daiquiri and Heat Wave.